“Social Media”, we hear it everywhere these days. It has been growing for the last 10 years and South Africa is right up there with Europe and the USA, with regards to this phenomenon. The youngsters amongst us probably don’t know any better, but for many of us social media is not something logical and it can be difficult to grasp the full meaning and benefits of these platforms. Social media is a very powerful marketing tool but is often underutilised by many businesses. So, let’s break things down a little. Let’s see how you can benefit from social media. How does it work, WHY does it work so well and how can you make it work for your business? Let’s start with the definition. 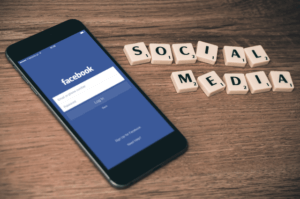 According to the Oxford dictionary, “social media” is websites and applications that enable users to create and share content or to participate in social networking. ‘Social networking sites also called social software and social media, provide the means to create and maintain ties online.’ In other words, social media is an umbrella name for all websites and apps that you can use to share information with others. The information that is shared is generally short and to the point; a “one-liner” as they call it. Photos are very popular as they attract people’s attention; they are the message. Now how does it work? A few well know social media platforms are Facebook, Twitter, Instagram and Linked-In. They are a network of connected people. You “follow” someone or become their “friend”; this way you can see what they post and vice versa. We at Kempston Events love to be active on our Facebook page and also like to post pictures on Instagram. When we are at an event and we are having fun, we love to share this with our followers! So WHY does it work so well? That’s simple! In this day and age, we are always on our smartphones and social media is designed to work particularly well on those phones. It’s quick and easy for you to post something from your phone and people often browse around on their social media apps when they have a moment. You can receive notifications every time someone reacts to something that you posted and you can in return quickly respond to them from your phone. And how can this work for your business? Well, because the more you post, the more people see your company name pop up on their screens – excellent exposure. Especially if they are following you; then they might even get a special notification when you post something! What is even better is that if they interact with your post, all their followers can see this and also see your initial post. This generates exponential growth in brand awareness that no other marketing tool could achieve. And best of all, it is completely free! What am I doing next? I am going to the Kempston Group Facebook page to share a link to this blog post so that all our followers know that we have a great new post online! Will you “like” our page and be our next “friend”?